First Dial A Number 411. Just Press 1 And It’s Done. 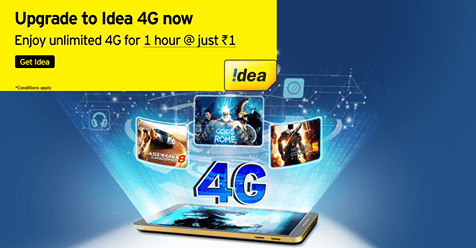 Offer Valid for all idea Users. User will get Unlimited 4G Data for 1 Hour Only. Limited Period Time Offer, so grab it fast.